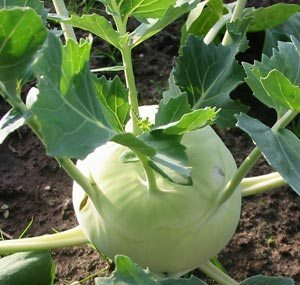 Growing Kohlrabi is best grown during cool weather and most growth occurs in cool weather. Kohlrabi is easy to grow and if you like the taste of Celery you'll like Kohlrabi's nutty celery-like taste. The bulb (stems) can be cut into cubes or slices, and cooked, steamed, or microwaved. The leaves can be cooked as well as added to salads. 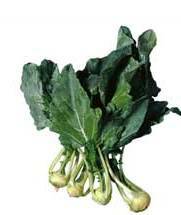 Kohlrabi is in the Brassica genus as well as Broccoli, Cabbage and Brussels Sprouts. Viruses - There are several common viruses that can affect cole crops including Turnip mosaic virus and Kohlrabi mosaic virus..